We’d love your help. 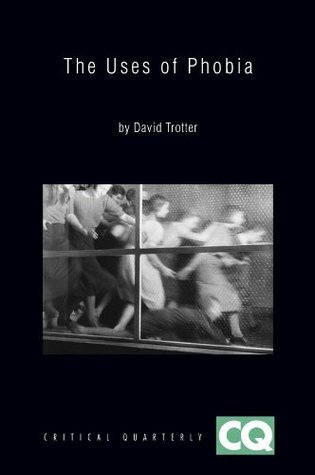 Let us know what’s wrong with this preview of The Uses of Phobia by David Trotter. The essays brought together in this book understand phobia not as a pathology, but as a versatile moral, political, and aesthetic resource - and one with a history. They demonstrate that enquiry into strong feelings of aversion has enabled writers and film-makers to say and show things they could not otherwise have said or shown; and in this way to get profoundly and provo The essays brought together in this book understand phobia not as a pathology, but as a versatile moral, political, and aesthetic resource - and one with a history. They demonstrate that enquiry into strong feelings of aversion has enabled writers and film-makers to say and show things they could not otherwise have said or shown; and in this way to get profoundly and provocatively to grips with the modern condition. To ask other readers questions about The Uses of Phobia, please sign up.